Fr. Jeremy Harrington, O.F.M., came to Transfiguration in July, 2013. 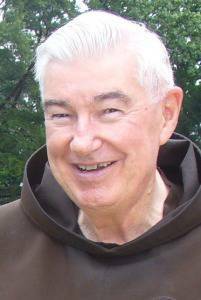 The previous six years he served at the Franciscan Monastery of the Holy Land in Washington, D.C. For many years he was editor and publisher of St. Anthony Messenger Press (now Franciscan Media). He was also provincial minister of St. John the Baptist Province and a teacher at Roger Bacon High School. He was ordained a priest in 1959.